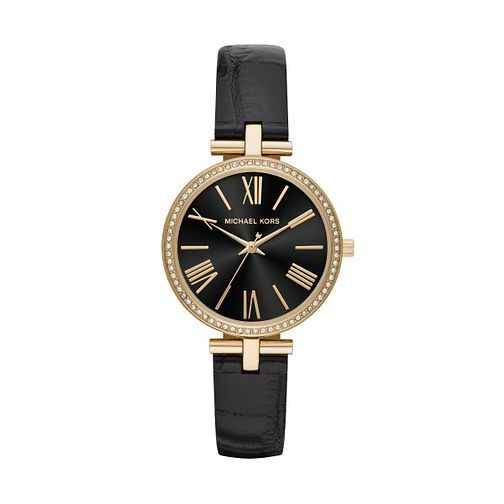 This gorgeous Maci ladies' watch by Michael Kors features a chic black dial bearing yellow gold tone roman numeral hour markings and three hands. A round yellow gold plated case is complimented with shimmering set stones, adding a touch of glamorous glitz. Finished with a black leather strap, this smart and stylish timepiece is a must-have for any fashionable lady. This watch is water resistant up to 30 metres.